5) Motivational keynote speech video of Jim Abbott, the famous one handed baseball player, with video clips of his life. 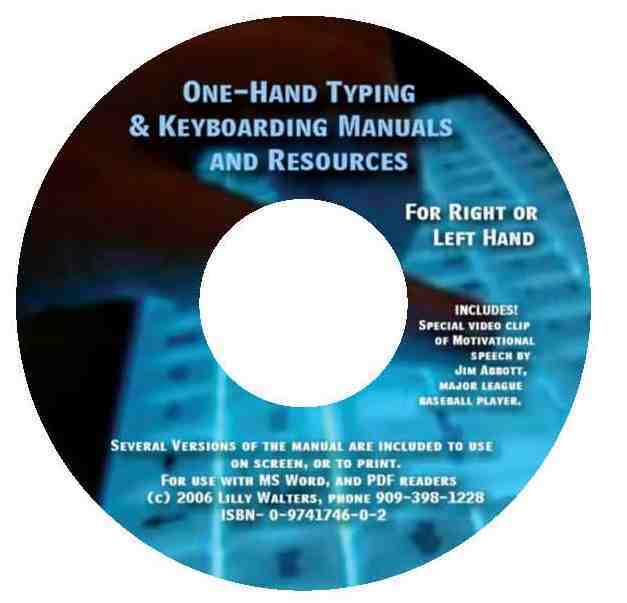 five versions of the One Hand Typing and Keyboarding Manual. All five versions work perfectly on the Macintosh, or the PC. The user can practice typing right on their computer screen. With the use of either your right, or left hand, this simple manual will teach you to type on a standard keyboard. Within 1-3 weeks of working through the drills in this manual, you can step into any mainstream program to learn typing. All of the exercises are very simple and can be used by the average child or adult. Of the several versions of the One Hand Typing and Keyboarding Manual on the disc, one is perfect for printing, this is the 72 page manual. From the CD you can print out your own hardback version of the manual. This is exactly the same as the 72 page comeback manual we sell for $29. But the best are the other four versions on the CD. These allow you to practice right into the document on the screen! Fields are provided for practicing the one hand typing exercises. These e-books are 330 pages. The exercises are exactly the same in the 72 page printed manual. However, we have taken each exercise, and broken them up into very easy to read, and easy to practice steps. This way, the process is much more interactive, simple, and fun! 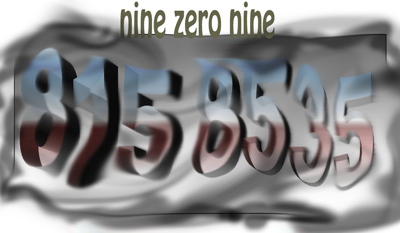 One version, our personal favorite, is in a PDF format. You read that with Adobe® Acrobat Reader, this is a free program which we include on the CD. The other three versions are in Microsoft Word®. Using one of these Word versions allows the user to become familiar with this most popular of the word processing programs used in offices today. You must own Word already to use these. Practice Typing for Free On-Line! If your one hand user under 12 years old? It is very important to get them a child size keyboard!